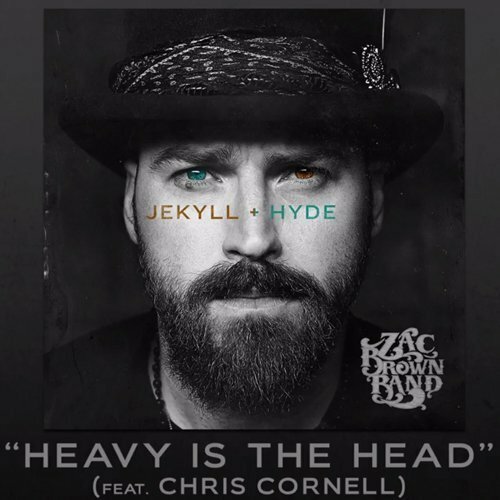 Zac Brown Band has released the official audio of their new single, "Heavy Is The Head," featuring Chris Cornell. Taken from their upcoming album Jekyll + Hyde, this track sees the Soundgarden vocalist assist the country rock band on a track that definitely falls on the Hyde side of things. The riff-heavy song forgoes the usage of traditional country sounds in favor of something more Superunknown than "Chicken Fried." The official YouTube audio follows the collaborative performance between Zac Brown Band and Chris Cornell that took place on Saturday Night Live recently. It also follows "Homegrown," the lead single off the upcoming album Jekyll + Hyde. Jekyll + Hyde will be released on April 28, 2015, and is available to preorder on Amazon (CD, MP3). You can also download the single "Heavy Is The Head" on Amazon now. For Zac Brown Band and Chris Cornell’s latest music, news, and tour dates, check out their Zumic artist pages.